I loved this episode talking with Kate Casebier: a mother, graphic designer, and blogger about taking risks and making big and brave bold moves. What happens when the whisper becomes too loud to ignore? What happens when you start asking questions like: Does this bring me Joy? What lights me up? What happened for Kate was that it took her on a journey that I think many people can relate to, the one that goes off the predictable track towards a destination uncertain and scary but so so necessary. Kate and I talked about making that bold move of leaving the law profession and then being willing to stay in the discomfort around making that transition. And her insights about staying the course despite the challenges that come with it and her honest reflections about what it's really is like to live a creative path are a such a refreshing voice to hear among the other outside voices that sometimes can make it seem like its all butterflies and rainbows. In this episode you will hear about what it's really like to follow your heart, trust in the process, and move through the struggles and challenges that come along with a creative path. 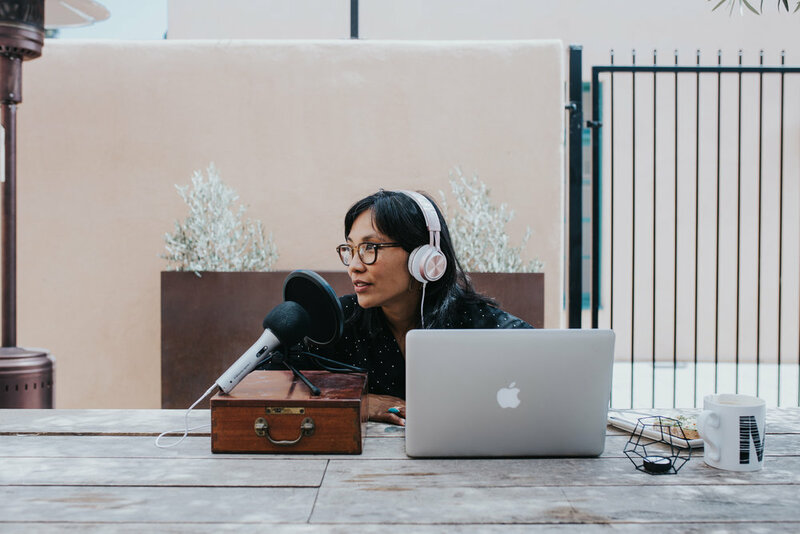 And you will hear where Kate's Journey has led her to today, helping other people translate what they are feeling and envisioning in their business into a beautiful visually brand identity working as a business and branding coach.